Teeth that are broken, chipped, stained or gapped might make you feel like you aren’t creating the first impression you want. We’ll have you beaming confidently again with durable porcelain veneers, perfectly fitted by the skilled QVC Dental Port Kennedy team. 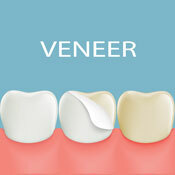 A veneer is a thin covering that is custom-fitted to go over the surface of an existing tooth. It’s strong and will blend in with the rest of your teeth for an aesthetically pleasing result. The first step is to check that you’re a candidate for veneers. Complimentary consultations are offered to determine if they’re suitable for what you’d like to achieve. To begin, a two-step process is necessary. Your first appointment involves impressions taken. At our Australian-based laboratory, these impressions are used to create your veneers. After they’ve been fabricated, the laboratory will send your veneers back to our practice to be fitted. Your veneers will be fixed in place using a strong bonding agent. We’ll take a thorough look at your new smile together, making sure everything is exactly as you expected. Your veneers can be taken care of exactly as you would the rest of your teeth. Twice-daily brushing and daily flossing along with your regular dental checkups will help maintain the health of all your teeth, including your veneers. Show off a look you love. Contact our team today to discuss veneers in Port Kennedy or to schedule your appointment! We’re here six days a week.